I came across a horrific news that a bug in the firefox browser have been found via which the files in your computer can be stolen and uploaded to a server in Russia. Most of the sites were advising users to update firefox. Now, although it automatically updates itself, but when i checked my browser, it was not updated from 15 days. Maybe settings enabled mozilla to update periodically. 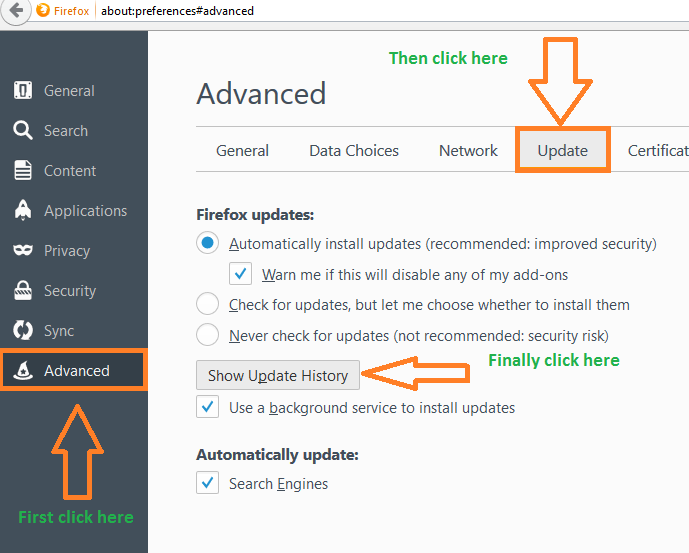 So, here is a quick step by step guide to manually update firefox, if it has not updated itself and you want to update it right now. Step 1# First of all click the menu icon in the top right. It is three horizontal lines stacked over each other. After clicking it, look in the bottom of the menu which opens. There is a question mark icon as shown in the pic below. Just click on that icon. Step 2# Now after clicking it a menu will appear having a set of options. You have to click on about firefox. On clicking it if your firefox browser is updated to its latest version, then it will says firefox is uptodate. Otherwise, it will just start downloading the updates as shown in the image below. Once, all the updates gets downloaded, the dialogue box will ask you to restart Firefox to Update. 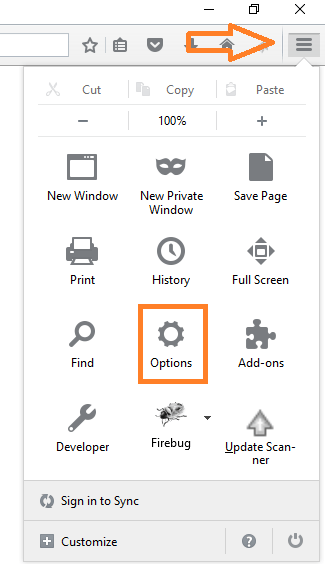 Just click on that button and firefox will get restarted to its latest version. Good news, you just updated your firefox browser to the latest version. Note:- This is also a quick method to update mozilla firefox browser in case of emergency like this. 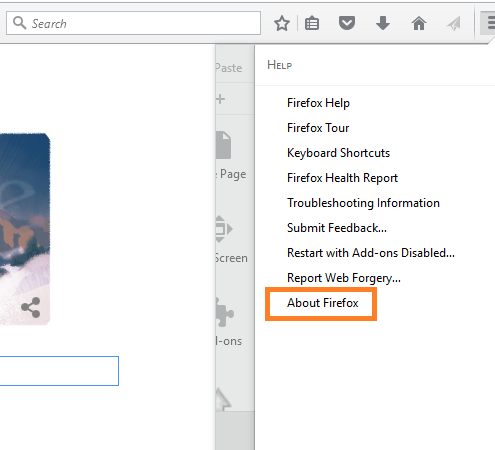 In this way you can also check the current version of mozilla firefox browser. Although its not needed to update it manually everytime, since it updates itself automatically periodically. 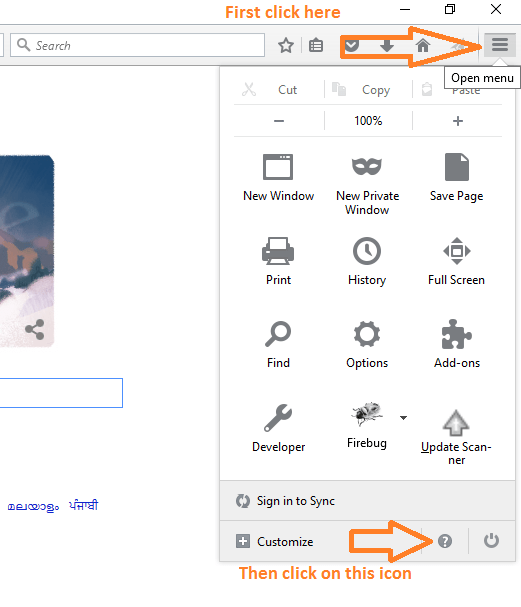 Step 1# Click on menu, the three horizontal lined icon on the top right in the mozilla browser. Then click on the options as shown in the screenshot given below. Now, click on advanced from the left menu pane. Then click on update from the horizontal tabbed bar and finally click on show update history to view update status. Follow the pic below for reference. On clicking show update history, a information window will pop up to show you the update history comprising of dates on which they were installed and their status.